ZTE will no longer be able to use any U.S.-created hardware or software in its devices. to the Chinese company. The ban lasts for seven years. Edited 15 times, last by laikexpert: correction ( Apr 16th 2018 ). Changed the title of the thread from “U.S. bans American companies from selling to Chinese phone maker ZTE” to “U.S. 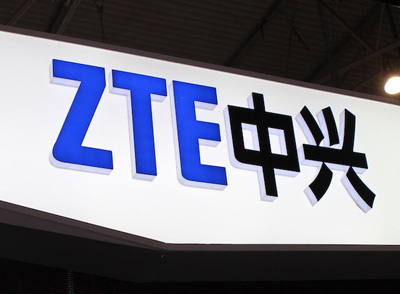 bans American companies from selling to ZTE phone maker”. are taking hits from our own side. Edited once, last by laikexpert: correction ( Apr 16th 2018 ). Changed the title of the thread from “U.S. bans American companies from selling to ZTE phone maker” to “ZTE banned from using US-based hardware or software”. I hope the Axon 9 won't suffer too much from this. Things will be better for every president has his own policy, isn't it? The current situation with ZTE is very serious. You need to react immediately!!! Edited 2 times, last by laikexpert: correction ( Apr 17th 2018 ). Only hardware is a problem, like no Snapdragon, no Dolby etc. software or technology (hereinafter collectively referred to as "item") exported or to be exported from the United States. ZTE is not only barred from importing hardware but also software as well. and even possibly providing software updates to their older devices. Let's hope they find a way around this. It leaves ZTE’s use of Android in a potential quandary. which means that ZTE can presumably continue to install it on its smartphones and tablets. However, that doesn’t include Google’s specific apps for Gmail, the Google Play store, Google Maps, and other software. Use of those is governed by the Mobile Application Distribution Agreement, or MAPA, a contract signed between Google and device OEMs. could not be considered Android certified. ZTE Axon 7 has everything you need. The current situation with ZTE company is very serious. All ZTE phone users become collateral damage. ZTE give us Android 8 for Axon 7 right now. Edited 3 times, last by laikexpert: correction ( Apr 17th 2018 ). all official ZTE downoad links are removed. Edited 12 times, last by laikexpert: correction ( Apr 17th 2018 ). laikexpert Please calm down and take a cup of drink that can relax you. Seems like you are new to ZTE Axon 7. Regarding all the US bans news, let's follow what nd27 said, wait for the official announcement from ZTE instead of speculating. While for the firmware files removed from the support website or even the support site is inaccessible, this is actually the good news because ZTE did it everytime when new major firmware is released. Let's wait for another week (yes, last time took a week after the website is down) to enjoy Oreo. Meanwhile, go get some milk so that we can dip the Oreo when it arrived (that's what the Oreo advertisement in Malaysia shows). It looks like zte will lose the licence to use android more than likely, situation is looking dire. But what if someone is still on android 6, and needs to update to 7 in order to update to oreo? BTW i have the nougat update for the axon 7 mini on my laptop, so if anyone needs it I can upload it somewhere. Unfortunately, I don't have the nougat update for the Axon 7. For those that needs the nougat ROM, I did saw someone upload to cloud and posted in xda forum. Otherwise, just wait until the support website available again. Edited 3 times, last by laikexpert: correction ( Apr 18th 2018 ). Actually, on the Germany website. They use html style to hide the download button. and you can download firmware as normal. Saga of ZTE users continues? Even if you can make the buttons visible again - they have no targets. No target, no download. This is not hacker knowledge, just a look at the source code of the site.